While the Army sorts out throwback service uniforms known as “pinks and greens” and looks to salvage older camouflage by dyeing gear to fit in with the new patterns, its leaders also have their eye on future combat and how even the clothes soldiers wear will fit into that complex space. The technology they’re seeking would basically absorb or shield the signature of the individual soldier from those radar surveillance devices. Researchers are developing a silver nanowire coating that could allow service members to dial up the heat on their uniforms. Those devices leave a soldier vulnerable to detection. While in the past some of the radar technology was expensive and bulky, advances have brought such systems down to an affordable and transportable level for all manner of adversaries. It’s all part of the larger multi-service-wide effort to fight in the electromagnetic spectrum, which includes stronger signaling for communications and targeting and jamming opponent signals. Some of the tech is out there for larger items like tents and trucks. This posting aims to put it on the soldiers themselves. 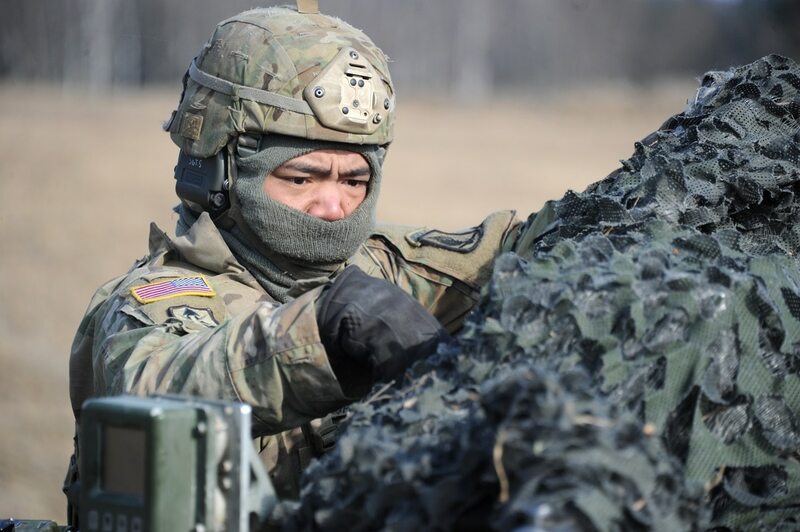 “While there exists a wide variety of radar absorbing material (RAM) composites for shelters and vehicles, there are currently no effective and lightweight wearable options to mitigate GSR detection of a dismounted soldier,” according to the posting. Whichever companies come up with solutions to present to the Army must first provide prototypes for both lab and field testing. Those will be able to be applied to equipment such as uniforms, body armor, helmets or rucksacks, for example. The material will then be tested for shielding or absorbing emissions for radar detection at up to 12-kilometer distances. It must operate where the Army does, from -30 degrees F to 125 degrees F and in high humidity, rain or other challenging weather conditions. The final product, if tested successfully, could entirely replace current textiles being used in those applications or integrated into existing materials that are already being worn by soldiers, and likely would be followed by ground combat units in other services.